Tired of the same old boring salad for lunch? I was too, and wanted to try something a little different yesterday. I am constantly eating fruit throughout the day, but I’m not sure why I never thought to put some on my salad come lunch time! This was such a nice change to my usual all veggie salad and will become a regular addition to my weekly lunches! It was SO good I think I’ll be having it again today! Yum! 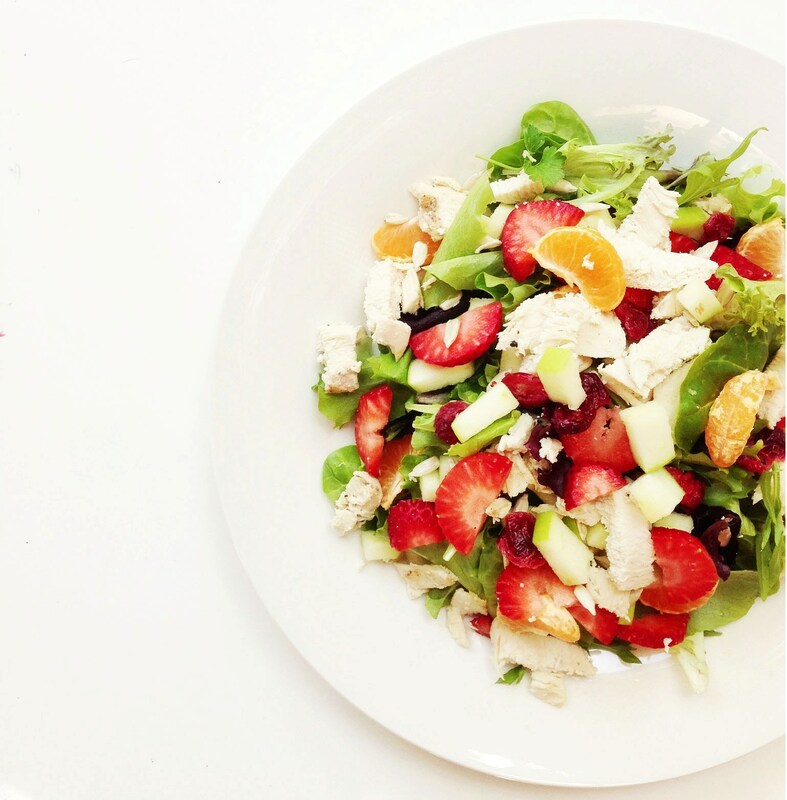 One of my faves is a spinach salad topped with strawberries and grilled chicken. Love the addition of nuts in yours! Great idea.